Dr. Hartigan-O’Connor studies the effect of host-microbe interactions on immune system development. His previous work on immune regulation in the setting of SIV infection, with an emphasis on Th17 and Treg cells, sets the stage for exploring the role of the microbiome in setting the balance of T cell subsets. His recent findings have implications for understanding immunity and inflammation in the gastrointestinal tract. He participates in research on defining mechanisms of pathogenesis in idiopathic chronic diarrhea, which is an inflammatory disease of the nonhuman primate intestine, and testing novel immunomodulatory treatment modalities for the condition. He is also interested in modulation of immune responses to gene transfer vectors and transplanted cells in the visual system and developing fetus. Dr. Hartigan-O’Connor’s research interests complement a central theme on lifespan health particularly as related to (i) early onset of disease and (ii) influence of early developmental conditions on later immunity and inflammation. His joint affiliation highlights the focus on multidisciplinary research programs, and the goal of the Infectious Diseases Unit and Reproductive Sciences and Regenerative Medicine Units to build on broad translational and multi-disciplinary approaches in nonhuman primate models. 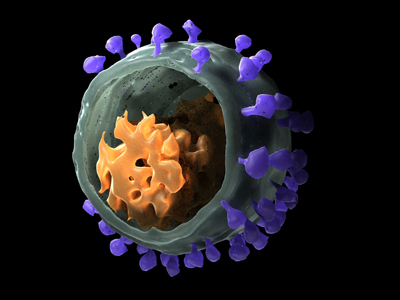 The balance between tolerance and inflammation, mediated by immunoregulatory cells and immunomodulatory proteins, may be important in HIV and SIV disease. The macaque model of SIV infection is being used to analyze the impact of regulatory T cells (T-regs) on disease progression in adult and infant macaques. In addition, this model enables studies of the impact of microbial colonization on maturation of the immune system.